What if time were told not by the seconds, minutes, and hours on the clock, but the slow and gradual passage of the months? The inevitable march of time carries on whether we want it to or not, and nature is the perfect intuitive clock. 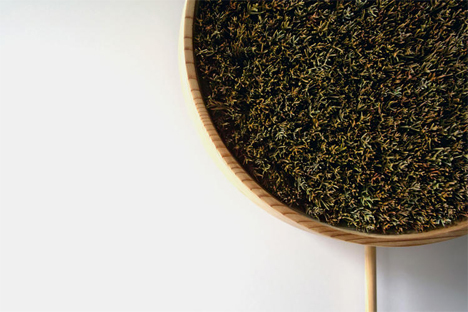 Japanese design group Bril is combining an age-old tradition with a new aesthetic to make a clock (or perhaps it is better referred to as a calendar) with a modern look. In traditional sake making, a ball of bundled cedar boughs known as a sugidama is used to mark the rice wine’s readiness. 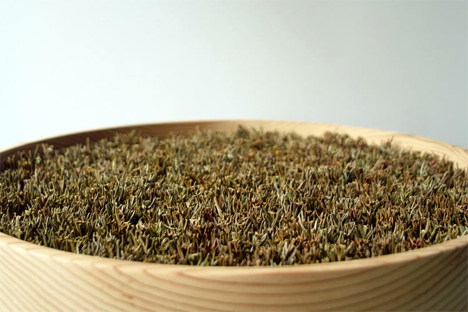 The boughs are plucked when the sake is made and slowly fade away to brown over time. It takes them precisely a year to die. When the boughs are completely brown and dead, the sake is ready to drink. 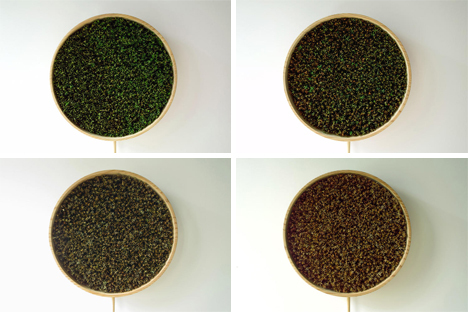 The Coniferous Clock uses the same cedar boughs to measure time. They are mounted on nails in a circular cedar frame and die ever so gradually. At the end of the year you can remove the dead boughs and mount new ones. 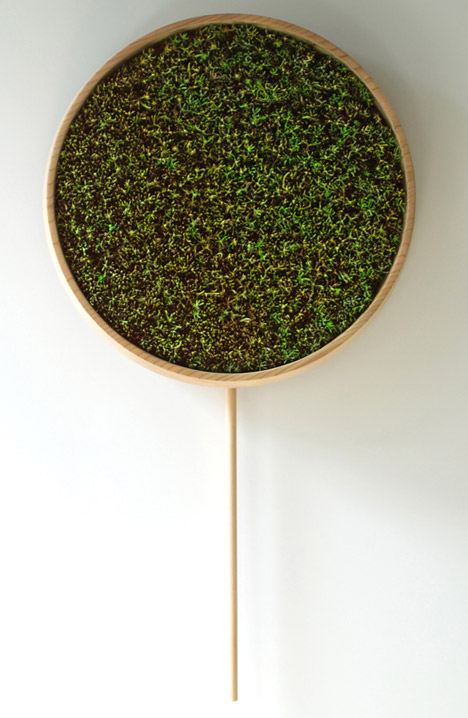 A swinging pendulum makes the visual distinction between a timepiece and a simple piece of nature-inspired wall art. The clock won’t tell you anything that you can’t see for yourself by simply looking out a window, but it is a rather pretty way to mark the passage of time without the nerve-grating ticking of clock hands. More importantly, it is a way to bring nature into the home to commune with it in some small way each and every day. See more in Clocks & Watches or under Gadgets. September, 2014.